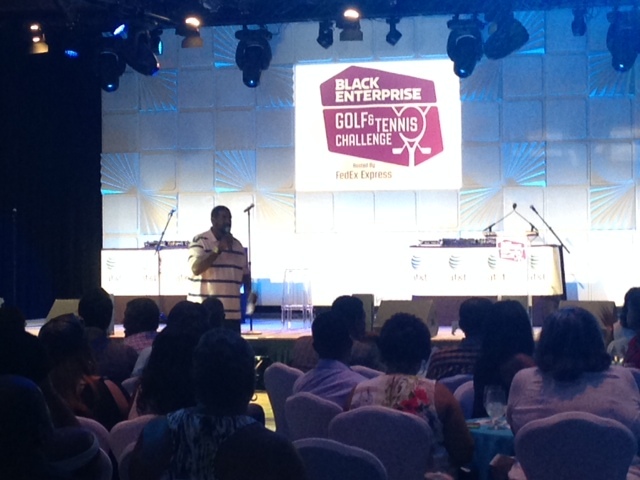 The first night of the Golf & Tennis Challenge was turned all the way up and it was time to get the party started. 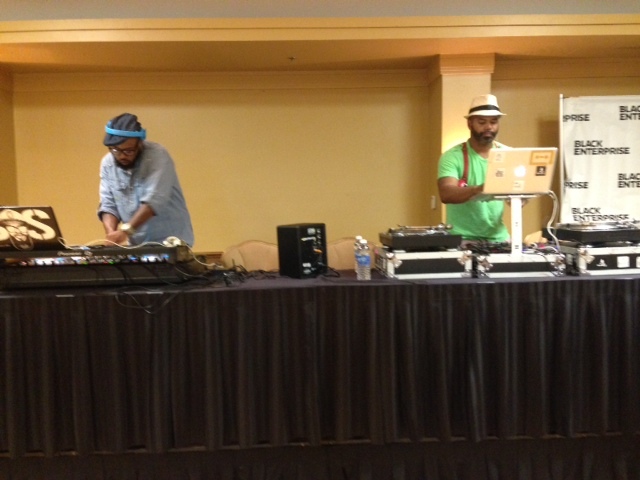 It all began with a DJ Battle Mixer, which featured DJ SOS and DJ Mike Diller of Scratch DJs of the Scratch DJ Academy in Miami. The DJs entertained the crowd with old school and new school hits and megamixes, including Joni Mitchell’s I Bet You Think This Song is About You and Whitney Houston’s I Wanna Dance With Somebody, with Chris Brown’s newer version sprinkled in. If it sounded live, that’s because it was. But this was only a teaser. The evening really took off with the #BETBT Comedy Show & Ol’ School Jam featuring comedians Talent, Kareem Green, Capone, and the show-stopper himself, Doug E. Fresh. 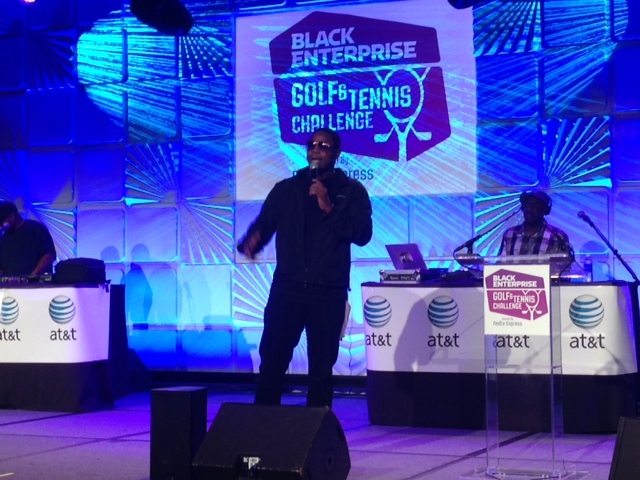 The show opened with a word from Black Enterprise CEO Earl “Butch” Graves Jr. and recognition from the event’s major sponsors, FedEx and AT&T, and everyone was “fresh” in their favorite old school attire. Talent was the first comedian to grace the stage and had the audience roaring with cautionary tales of smoking, aging, sticking together, and women committees. Talent then passed the mic to event host Chris Spencer who delighted the crowd with an impromptu performance, touching on kids, finances, and health (or lack thereof). Kareem Green was up next with stories of a struggling artist with no options left, unfit criminals, and the downside of aging. Capone then grabbed the mic and gave everybody healthy doses of reality and the truth about lies. The entire set was hilarious, evoking side-splitting, “walk away cause I can’t take it anymore” laughter. Next up – Doug E. Fresh. You already know what happened next. It was a party – plain and simple. Everyone was on their feet with their hands in the air, waving them like they just didn’t care. And they didn’t. There was way too much joy in the building to care about anything else at all. The show was completely unstoppable and words don’t seem to do it any justice. You just had to be there. Next year you will. Doug E. Fresh rocked the party.